Just about every App Store genre is represented in this week's round-up. Another week has flown by already, and we're bracing ourselves for the glut of big-name games due to hit the App Store at midnight tonight. We've picked through the listings to bring you all the games that we think you need to know about. 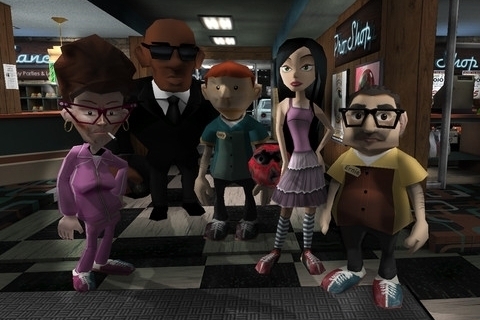 The last bowling game we got our hands on was The Bowling Dead, a violent zombie-slaying arcade title, but Kingpin Lanes appears to be taking the game back to its more traditional roots. All of the competitors in the game are fully voiced, and there are five challenging themed lanes to work your way through. Even better, the bowling alley's arcade section features four different mini-games to enjoy alongside the action in the lanes. As long-term Modojo readers will be well aware, we really can't get enough match-three puzzlers with a solid twist. From the description alone, Alien Hive looks to be a very worthy addition to the genre, as you carefully create match-ups to both hatch and evolve alien creatures. It's free, it has in-app purchases, and so we'll have to see how carefully developer AppXplore has dealt with that eternal balancing act, but we'll be taking a closer look at this as soon as it hits the US App Store at midnight tonight. 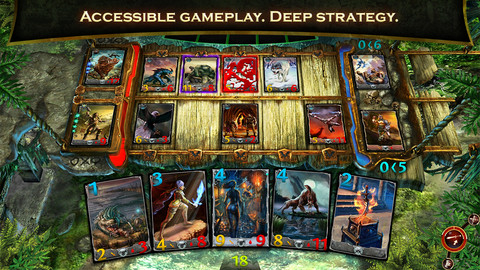 One of the biggest-name games to hit the App Store tonight is Order & Chaos Duels. As you'd expect from the title alone, this is a deck-building strategy game set in the same universe that's delivered both an MMO and a MOBA for mobile devices. Can Gameloft pull off a hat-trick and achieve the same success in a crowded market? We'll have to see. With 250 intricately detailed cards to collect, you can't say the publisher isn't making a solid effort. In fairness, this one's actually just come out on the US App Store, but as it's a fairly quiet week we thought it was well worth making you aware of the news. This Star Wars-themed pinball game from the pinball kings Zen Studios picked up a mighty 4.5 out of 5 stars when we reviewed the Android release at the beginning of the month, and we've every reason to believe it's just as good on iOS devices. For $1.99 you only get one table, while two more are available at a further cost of $1.99 apiece. It's a pricey game, then, but pinball fans certainly won't want to miss out here. Every time a new touchscreen game describes itself as having "amazing controls" in the first line of its listing, a part of us can't help but fear for the worst. If the controls really do work well though, this could shape up to be a very interesting title indeed. It's a time-trial game, and you'll have to steer a colorful helicopter through nearly 50 levels, with three difficulty modes to choose from.